Qualcomm Releases Adreno 2xx GPU Binaries for ICS! 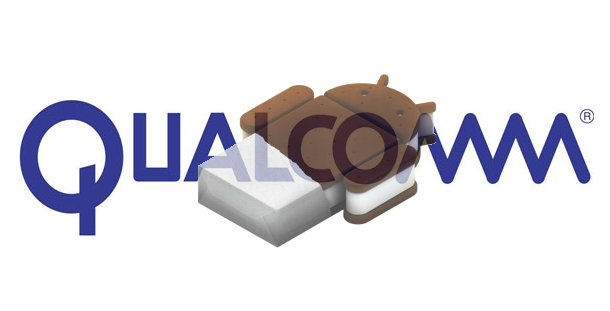 For quite some time, we’ve known that devices based on Qualcomm’s aging QSD8250 / 8650, otherwise known as the original Snapdragon, would not be receiving Ice Cream Sandwich in official capacity. This meant that former flagship devices that were released less than two years ago would be ineligible for official upgrades to ICS. This is something that many of us refused to accept, myself included. What’s worse is that it meant that the device which most lived up to the Nexus name—the Nexus One—would not receive Google’s tastiest treat. Now despite the lack of proper first party graphics libraries, the community has made outstanding progress porting ICS to devices that by all objective means should not be able to run the OS. Naturally, the HTC HD2 was one of the first devices to receive ICS in unofficial capacity. However, one thing that was holding back progress was lack of GPU hardware acceleration for the OS. Luckily not too much later, a hack was developed by XDA Forum Member Ankuch that enabled hardware acceleration on the device’s Adreno 200. In order to provide enthusiasts with recent improvements made to Snapdragon’s Adreno graphics drivers, Qualcomm has made the updated Adreno 2xx graphics driver binaries available here. Note that you will most likely need to be a developer to take advantage of these new drivers since they’ll require integration with the CAF release of ICS, but Qualcomm is providing these driver binaries “as is” to those of you who have requested them. This release contains the user-mode driver binaries for Qualcomm’s Adreno 2xx GPU on Google Android Ice Cream Sandwich. It has been tested with the CAF release M8960AAAAANLYA1030. Supports any Adreno 2xx GPU on Android ICS. Boom, headshot. On behalf of the entire development community, we would like to thank Qualcomm for their efforts. This will undoubtedly give developers what they need to properly port Ice Cream Sandwich to Adreno 200-based devices. And in fact, all Andreno 2xx GPUs, which appear in the Snapdragon S2 and S3, stand to benefit as well. Developers should run—not walk—to Qualcomm’s Mobile Gaming and Graphics page and visit XDA Forum Member kevinwalter‘s discussion thread to get started!